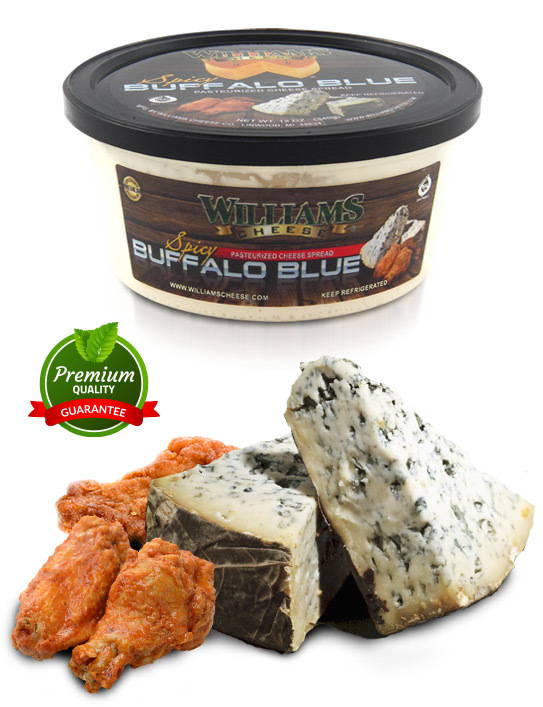 of our Spicy Buffalo Blue Cheese Spread. 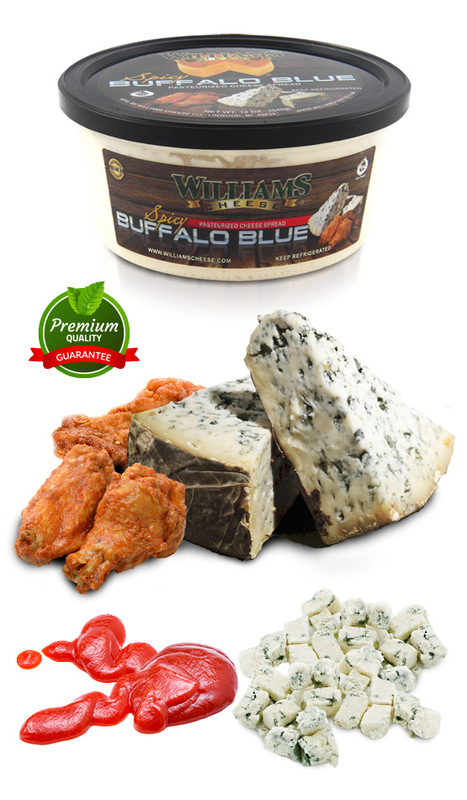 We offer this spread in 12oz. size tubs. 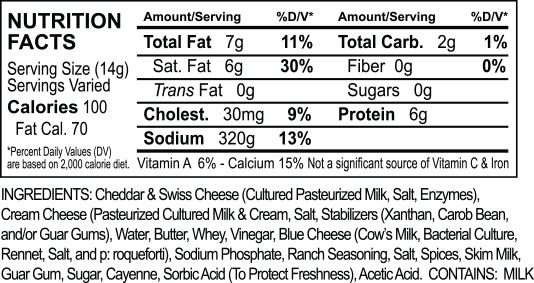 (If you would be interested in 24oz. sizes please contact us and we will take it into consideration of the demand is high enough.